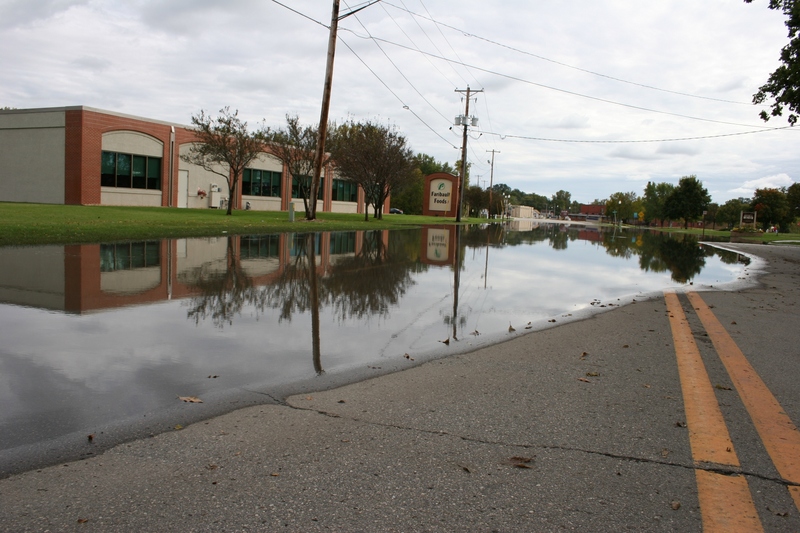 This image, taken Saturday afternoon, shows flooded Second Avenue N.W. looking toward Faribault Foods' offices and canning company on the left, and the former Faribo Woolen Mill and Alexander North Park on the right. FOR ANYONE WHO’S TIRING of my flood photos, I offer no apologies. 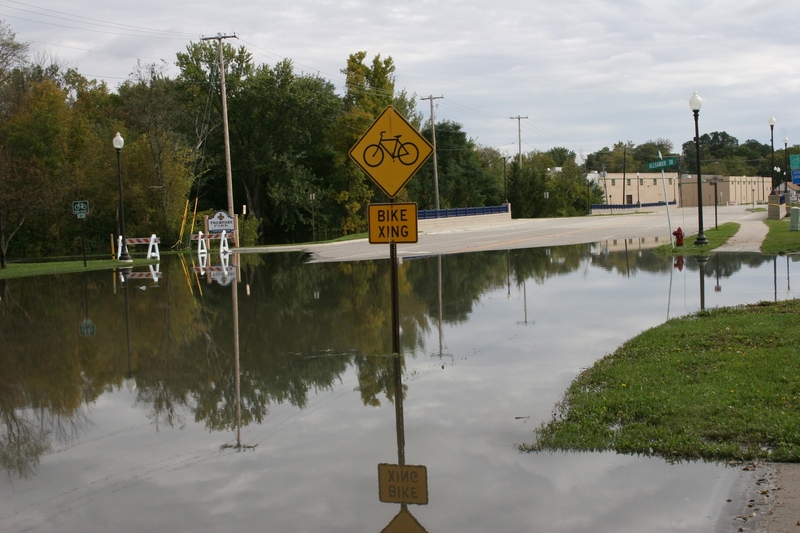 Right now we Faribault residents are a bit obsessed with the natural disaster that has struck our town. As I’ve toured the flooded areas during the past several days, I’ve discovered a sense of community that I’ve never felt in my 28 years here. As we gather along the banks of swollen rivers, peer over bridges, stand beside flooded roads, we understand that we are not only witnessing history, but we are a part of history. That bonds us. We exchange stories—of raw sewage in basements, of failed sump pumps, of “I’ve never seen the river this high.” While our stories may differ in detail, the setting, here, in our Midwestern community along the Cannon and Straight rivers, is the common thread that weaves together our experiences. We can’t stop taking photos, which, pieced together, become a patchwork quilt of memories, of history, of stories. 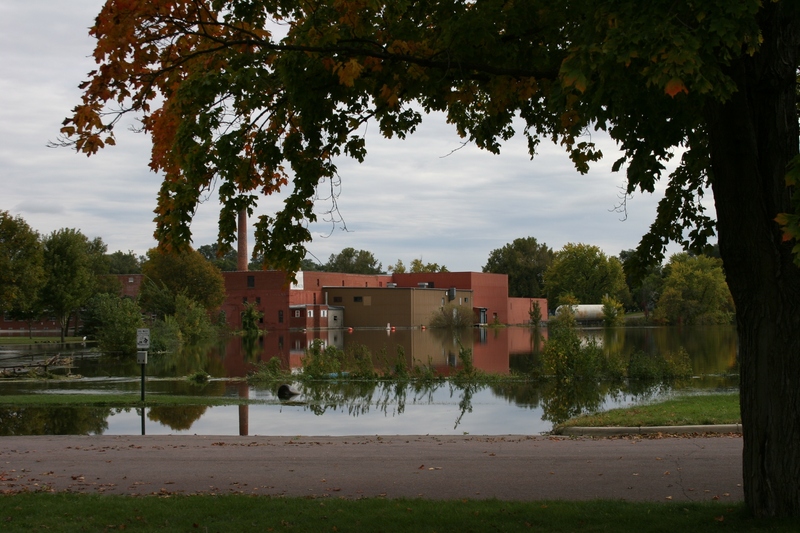 This shot taken from North Alexander Park frames the former Faribo Woolen Mill along the banks of the flooded Cannon River. The two dams here are no longer visible, river water touches the bottoms of the two bridges and some park land is under water. 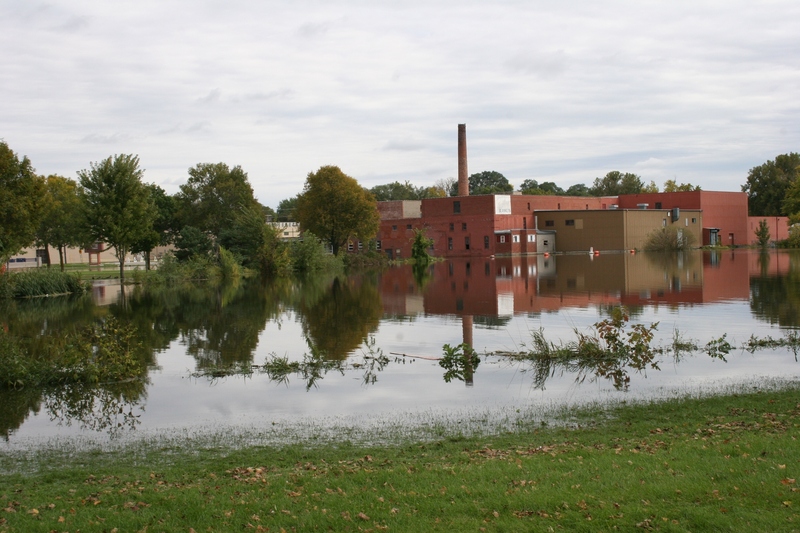 The flooded Cannon River by the former Faribo Woolen Mill on the right and Faribault Foods canning company on the left along Second Avenue N.W.. 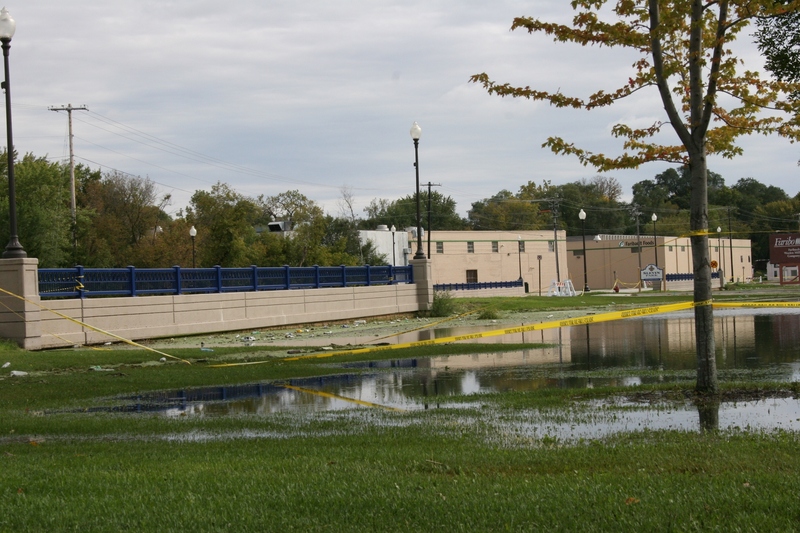 The Woolen Mill dam is no longer visible. 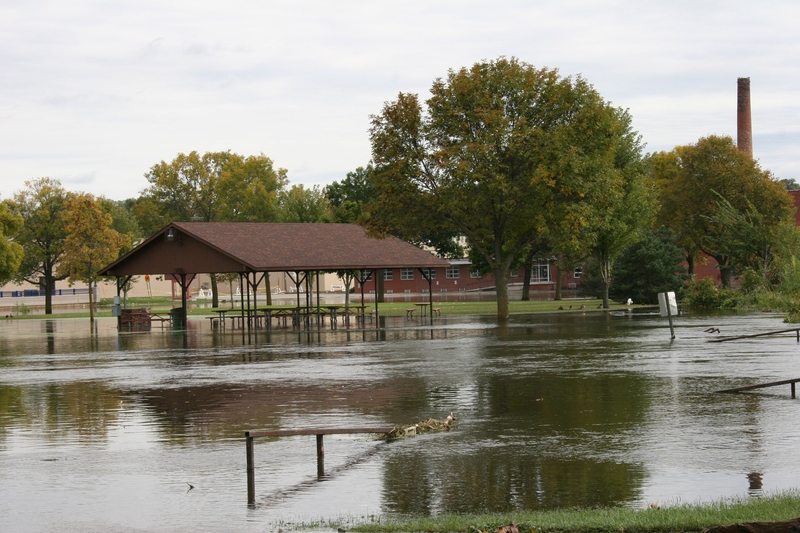 This picnic shelter in Father Slevin Park, on a wedge of land between two branches/two dams of the Cannon River by the former Faribo Woolen Mill was covered with river water. 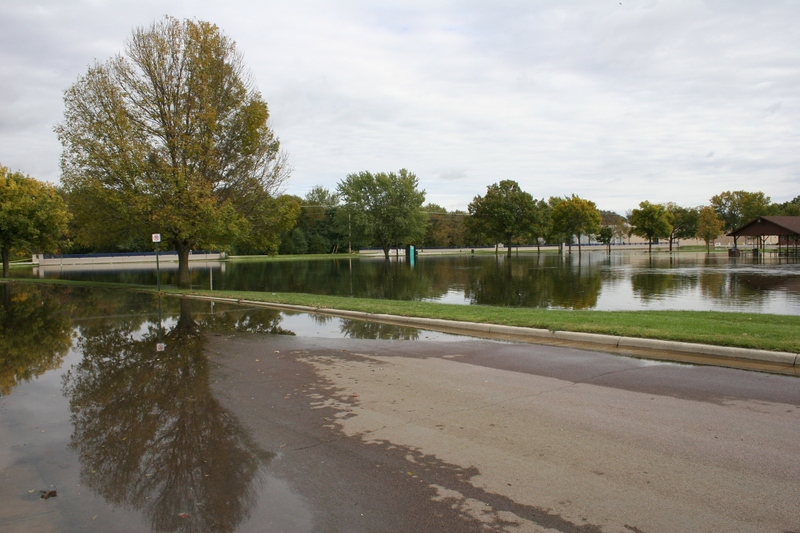 Cannon River waters edged onto park land near the entrance to North Alexander Park. 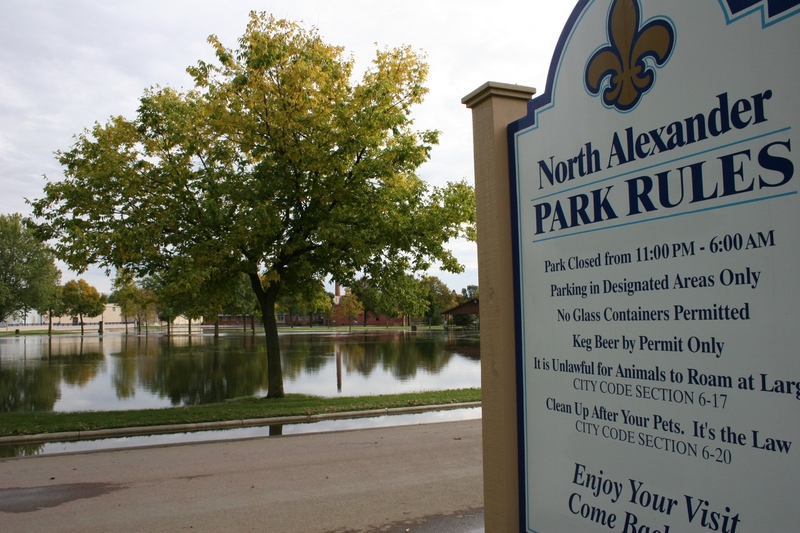 Water from the swollen Cannon River covers the roadway into North Alexander Park. The Cannon River skims both bridges along Second Avenue N.W. To the right is Faribault Foods canning plant. The bike trail to the left (not pictured) near Second Avenue N.W. is flooded. I shot this scene along Second Avenue N.W. by the Rice County Historical society. 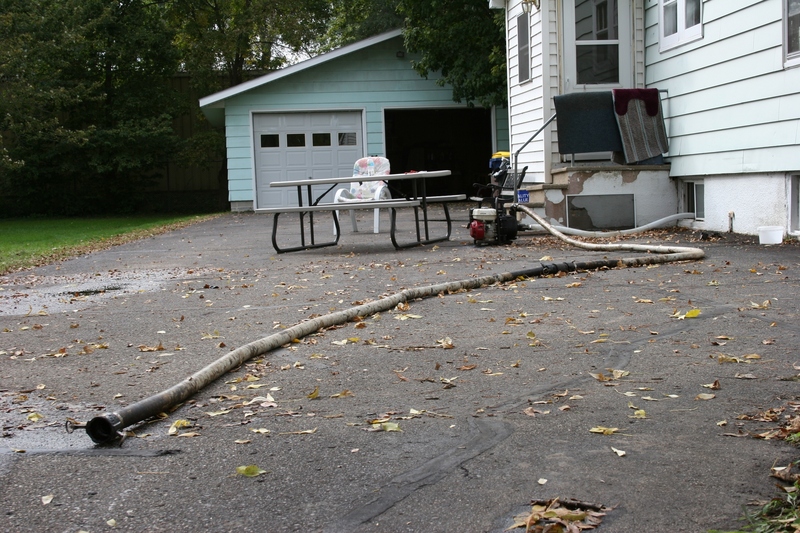 Homeowners through-out Faribault have been pumping water, or raw sewage, from basements. ALL OF THESE FLOOD PHOTOS were taken Saturday afternoon, September 25, 2010, from North Alexander Park and along Second Avenue N.W. by the Rice County Historical Society.